For United States Navy ships named Patchogue, see USS Patchogue. Patchogue (/ˈpætʃɒɡ/, patch-AWG) is a village on the south shore of Long Island in Suffolk County, New York, United States. The population was 11,798 at the time of the 2010 census. Patchogue is part of the town of Brookhaven, on the South Shore of Long Island, adjoining Great South Bay. It is officially known as the Incorporated Village of Patchogue. Patchogue, which is approximately 60 miles (100 km) east of Manhattan, became incorporated in 1893. A natural riverfront and harbor are resources that the village has utilized for the past 100 years, to become a modern and largely self-contained community. The Four Corners, where West & East Main Streets meets South & North Ocean Avenues. Patchogue is the mailing address for residents of the village, as well as residents of the adjoining hamlets of East Patchogue, North Patchogue, Canaan Lake and some areas on Fire Island. Patchogue and the adjacent hamlet of Medford share a school district and library. There are Primary, Middle and High Schools, plus continuing education programs for adults. The School District, library, St. Joseph's and the Briarcliffe Colleges provide a variety of educational opportunities. In 2010, the Patchogue-Medford Library was awarded the 2010 National Medal for Museum and Library Science for the library's work in bilingual programming. The Patchogue Theater for the Performing Arts opened in 1923. It was later renovated into a triplex, after which it was converted to a single movie theater. It closed in the late 1980s. In the mid-1990s the Village acquired the theater, and completely refurbished the building; it now seats 1,166 people. Patchogue has places of worship of various Christian denominations. Three churches in Patchogue are listed on the National Register of Historic Places. The Congregational Church on East Main Street, United Methodist Church on South Ocean Avenue between Church Street and Terry Street, and the St. Paul's Episcopal Church on Rider Avenue across from Terry Street. St. Francis de Sales is the Roman Catholic parish which was formed in the 1880s. It was formed and flourished despite the protests of the nativist movement (the Know Nothings). Patchogue also has two synagogues, Young Israel of Patchogue and Temple Beth-El. Volunteer organisations include The Patchogue Chamber of Commerce, Knights of Columbus Council 725, Kiwanis, Rotarians and Lions. The Patchogue Ambulance Company is an all-volunteer service. Patchogue is home of the Blue Point Brewing Company. Patchogue is located at 40°45′48″N 73°1′4″W﻿ / ﻿40.76333°N 73.01778°W﻿ / 40.76333; -73.01778 (40.763370, −73.017868). According to the United States Census Bureau, the village has a total area of 2.5 square miles (6.5 km²), of which 2.2 square miles (5.8 km²) of it is land and 0.3 square miles (0.7 km²) of it (10.71%) is water. In 1812 there were 75 inhabitants in Patchogue according to The Brooklyn Eagle, published in 1930. As of the census of 2000, there were 11,919 people, 4,636 households, and 2,749 families residing in the village. The population density was 5,301.2 people per square mile (2,045.3/km²). There were 4,902 housing units at an average density of 2,180.2 per square mile (841.2/km²). The racial makeup of the village was 81.27% White, 3.89% African American, 0.34% Native American, 1.39% Asian, 0.02% Pacific Islander, 9.23% from other races, and 3.85% from two or more races. Hispanics or Latinos of any race were 23.84% of the population. There were 4,636 households, out of which 29.5% had children under the age of 18 living with them, 40.3% were married couples living together, 13.4% had a female householder with no husband present, and 40.7% were non-families. 31.8% of all households were made up of individuals and 9.0% had someone living alone who was 65 years of age or older. The average household size was 2.54 and the average family size was 3.20. 22.5% of Patchogue's inhabitants were under the age of 18, 9.2% ranged from 18 and 24, 37.1% from 25 to 44, 20.7% from 45 to 64, and 10.5% were 65 years of age or older. The median age was 35 years. For every 100 females, there were 100.4 males. For every 100 females age 18 and over, there were 99.7 males. The median income for a household in the village was $47,027, and the median income for a family was $60,126. Males had a median income of $38,561 versus $30,599 for females. The per capita income for the village was $22,962. 8.1% of families and 10.7% of the population were below the poverty line, including 13.5% of those under age 18 and 10.4% of those age 65 or over. In 2010, the demographics were 61.8% White, 29.6% Hispanic, 5.3% Black, 0.3% Native American, 1.6% Asian, 0.1% Some Other Race, and 1.4% Two or More Races. The Patchogue Former Manufactured Gas Plant (MGP) was operated from 1904 to 1926. The company was a small operation, converting coal and/or petroleum products to a flammable gas for use in lighting and industry. The company was sold to Long Island Lighting Company (LILCO). Patchogue is served by the LIRR Montauk Branch. The station is a hub for several Suffolk County Transit bus lines (the S40, S54, S61, S63, S66, S68, 7A & 7B), as well as the Village of Patchogue Bus. Within walking distance of the LIRR station is the Watch Hill Ferry Terminal, which serves Davis Park, New York and the Watch Hill Visitor's Center in the Otis G. Pike Fire Island Wilderness Area. The main road through Patchogue is Montauk Highway. Other important roads are (from west to east) County Route 19 (Suffolk County, New York), South and North Ocean Avenues, the latter of which leads to County Route 83 (Suffolk County, New York) and New York State Route 112. Kevin Connolly, "E" from Entourage-Born on March 5, 1974. Grew up in this town and went to Patchogue-Medford High School. Irv Gordon, Owner/ Driver of the highest mileage vehicle in the world 2.8 Million Miles (Guinness Record Holder). Neal Heaton, baseball player for New York Yankees (1993), lives in East Patchogue. William Patrick Stuart-Houston (born William Patrick Hitler), Adolf Hitler's nephew, his mother, Bridget, his wife, Phyllis, and his four sons, Alexander, Louis, Howard and Brian. Billy Idol, English Rock Musician – lived in a house in Patchogue when his family emigrated to the United States in 1958. Chrisette Michele, Patchogue-raised Grammy winner who won a Grammy Award for Best Urban/Alternative Performance in 2009 for her song "Be OK". Lieutenant Michael P. Murphy, a U.S. Navy SEAL and North Patchogue native (1976), posthumously received the Medal of Honor in 2007 for bravery in action against the Taliban in Afghanistan in 2005. Robert Pelletreau, US Diplomat and Ambassador, born in Patchogue, lawyer, from family of prominent judges and lawyers in Patchogue, Pelletreau & Pelletreau. Jeff Schaefer, baseball player for Chicago White Sox (1989), born in Patchogue. Edgar A. Sharp, United States Representative – Republican to the Seventy-ninth Congress(1945–1947). Born in Patchogue. Renée Felice Smith, a permanent cast member playing the role of "Nell" on CBS' "NCIS: Los Angeles". Bryant Neal Vinas, convicted of participating in and supporting al-Qaeda plots in Afghanistan and the U.S., and helping al-Qaeda plan a bomb attack on the Long Island Rail Road. ^ Gillespie, Lisa (2010-12-21). "First Lady Presents Patchogue-Medford Library with National Award – Arts & Entertainment – Patchogue, NY Patch". Patchogue.patch.com. Retrieved 2014-05-19. ^ "History of Patchogue Village, East Patchogue and North Patchogue". Patchogue.com. Archived from the original on March 18, 2012. Retrieved 12 January 2012. ^ a b "Patchogue, NY Population – Census 2010 and 2000 Interactive Map, Demographics, Statistics, Quick Facts". CensusViewer. Retrieved 2014-05-19. 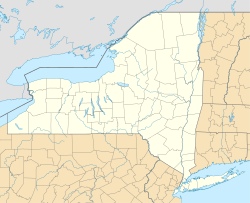 ^ "2010 Census data for PATCHOGUE, NY". Zip-codes.com. Retrieved 2014-05-19. ^ "Record of Decision, Patchogue" (PDF). New York State Department of Environmental Conservation. March 2011. Retrieved April 9, 2014. ^ "transportation". Patchoguevillage.org. Archived from the original on 2014-07-25. Retrieved 2014-05-19. ^ "Profiles in Mileage: Meet the 2.8-Million-Mile Man | Autopia". WIRED. 2014-05-07. Retrieved 2014-05-19. ^ COREY KILGANNON (April 24, 2006). "Three Quiet Brothers on Long Island, All of Them Related to Hitler". New York Times. Retrieved 2012-02-11. ^ Rotella, Sebastian; Mayer, Josh (July 23, 2009). "U.S.-born militant who fought for Al Qaeda is in custody". The Los Angeles Times. Retrieved October 30, 2013. Images of America: Patchogue, by Hans Henke, out of print. Wikimedia Commons has media related to Patchogue, New York. This page was last edited on 4 February 2019, at 01:04 (UTC).